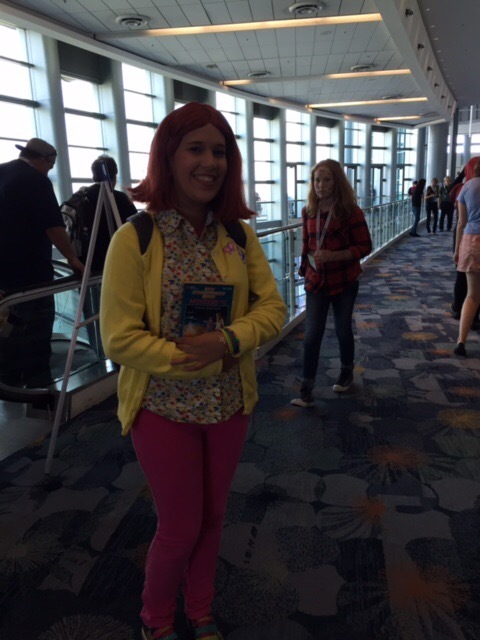 The Unbreakable Kimmy Schmidt was an instant hit on Netflix, didn’t take long for the cosplay to appear at Wondercon. When you’re in a dark room, good photos might be hard to come by. This shows all the lights emitting from the pinball and arcade cabnits from Zapcon. 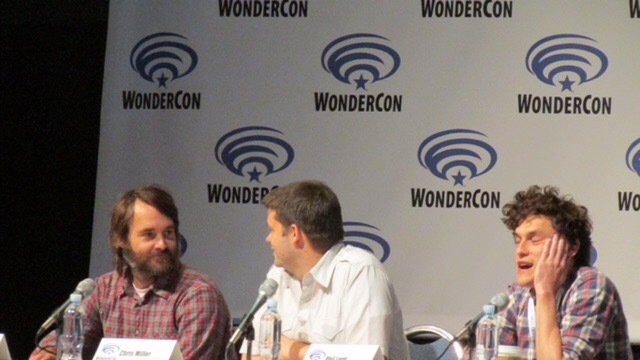 One my of favorite new shows is Last Man on Earth and during Wondercon, Will Forte and writers Phil Lord and Chris Miller had a panel to talk about filming the show. 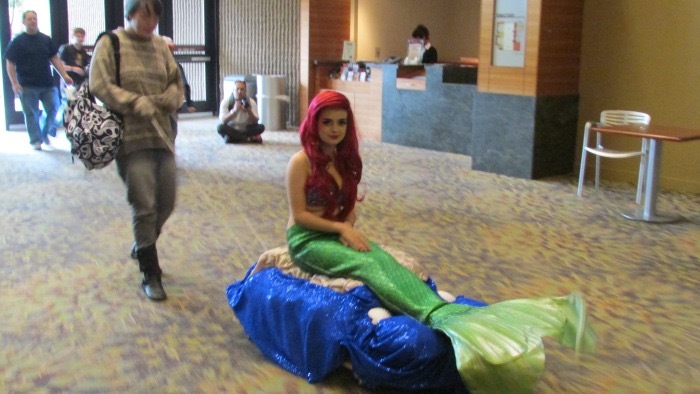 I really enjoy when someone takes an idea and really thinks outside the box such as this cosplayer during Amazing Arizona Comic Con. Alyson Hannigan and her husband Alexis Denisof spent a lot of time talking about Joss Whedon during their panel at Phoenix Comicon. 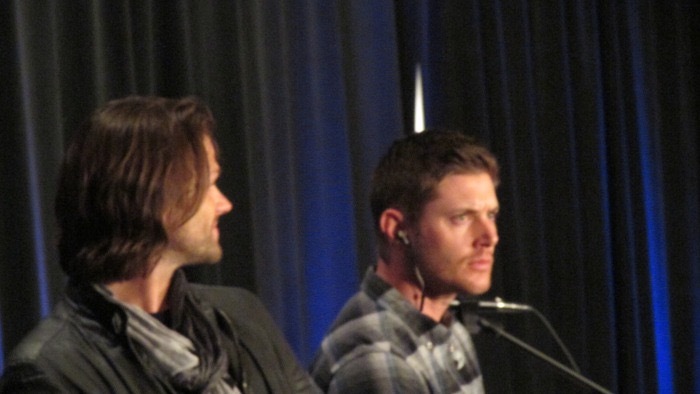 Jensen Ackles demonstrates his acting chops along side Jared Padalecki during the Salute to Supernatural convention. Is this what Spider-Man would have looked like had in joined forces initially with Captain America and not Iron Man? 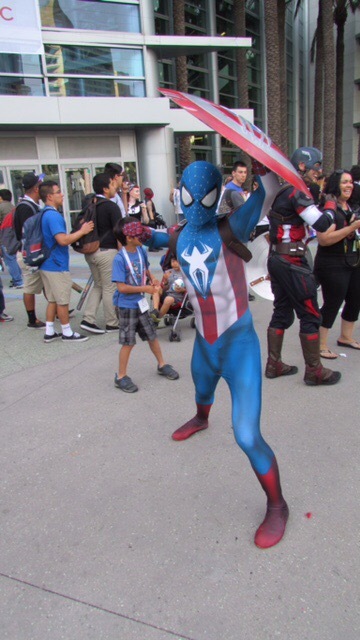 From Wondercon in Anaheim. 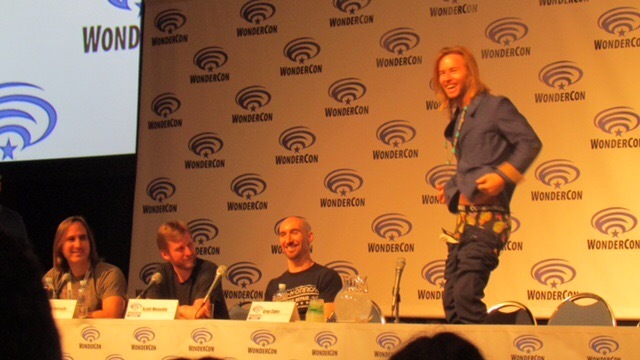 The voice of Beast Boy on Teen Titans Go!, Greg Cipes, shows his love for the Teenage Mutant Ninja Turtles during Wondercon. 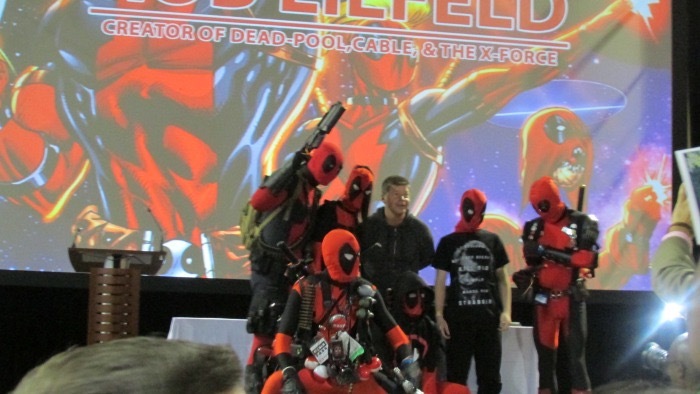 Deadpool creator Rob Liefeld takes a photo with several of his creations during Amazing Arizona Comic Con. 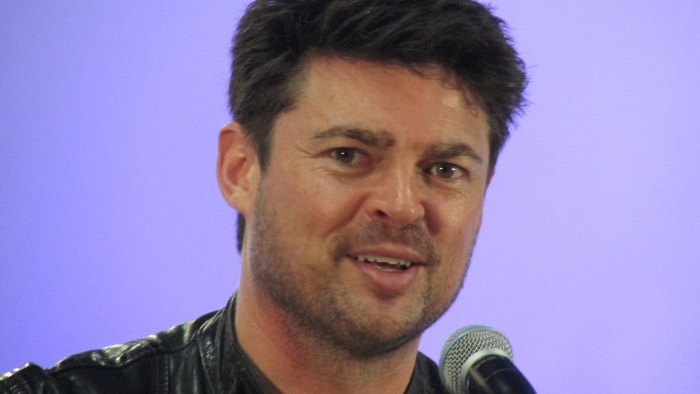 Karl Urban spent 45 minutes masterfully entertaining the crowd with stories of elaborate pranks during Phoenix Comicon. 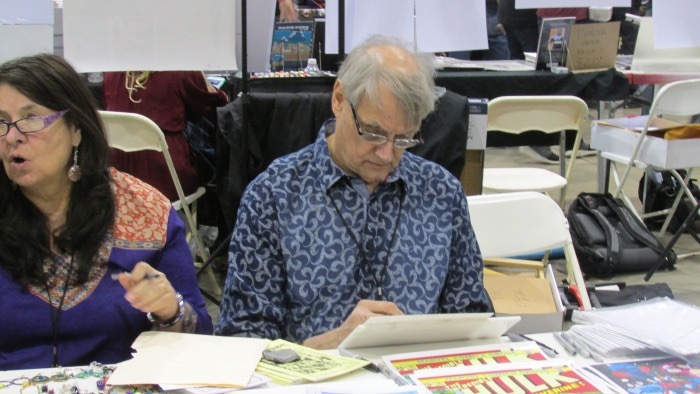 One of the last comic convention appearances of the late Herb Trimpe was at Amazing Arizona Comic Con along side his wife Patricia.